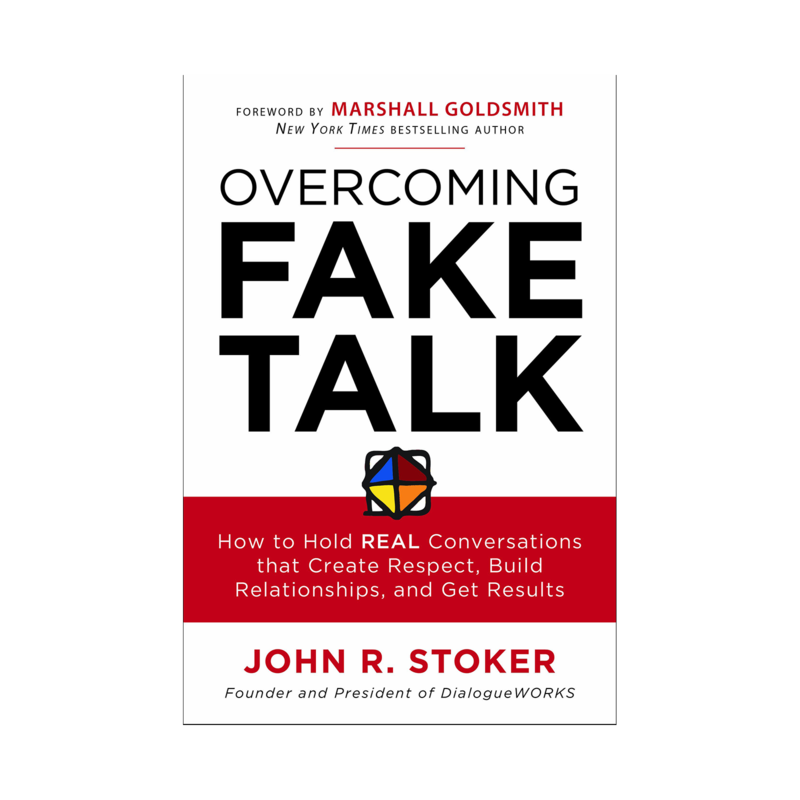 "John Stoker’s book is a breakthrough because it so clearly identifies a common problem that few have really talked about and offers principles, practices, and skills so necessary for honest, trust-building conversation." 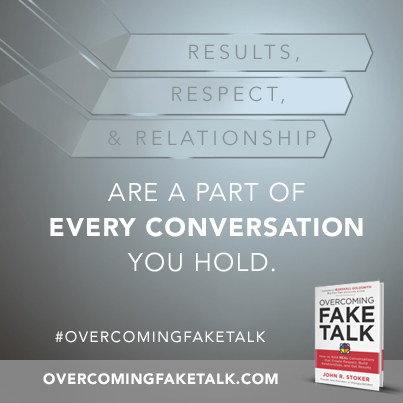 Be it in a professional or personal setting, our ability to communicate either creates respect, builds relationships, and achieves results — or it does not. 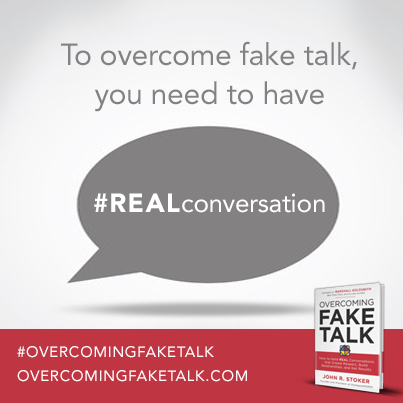 Overcoming Fake Talk will help you master the nuances and skills for holding real conversations for results. 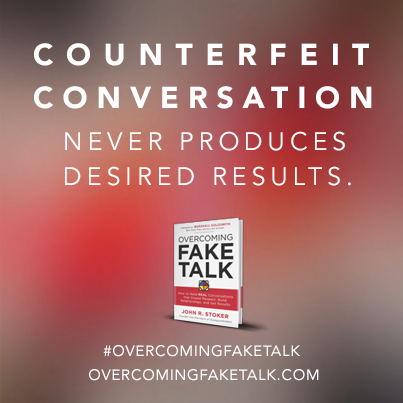 There are a number of dynamics that influence conversational effectiveness such as conversation styles, emotion, assumptions, intent, context, tone, tempo and reactive brain functions. 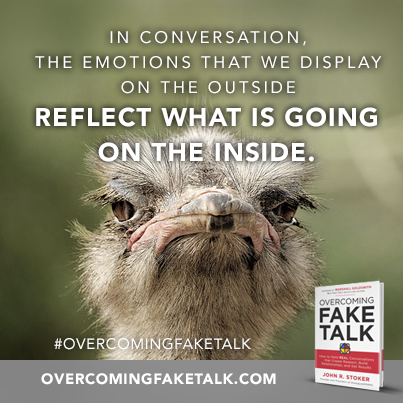 Stoker discusses these and develops the eight principles that influence every conversation: awareness, knowledge, reflection, perception, preparation, expressiveness, discovery and connection. 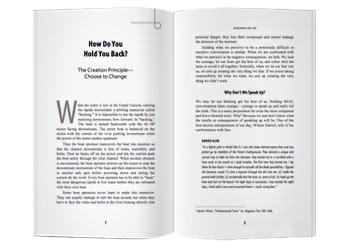 Each principle is easy to understand and is easy to apply to your greatest personal challenges. This is the last communications book you will ever need. 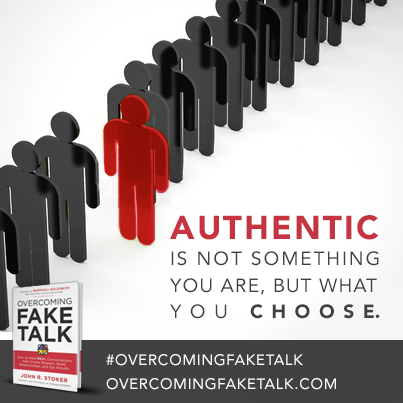 "I just finished reading Overcoming Fake Talk. 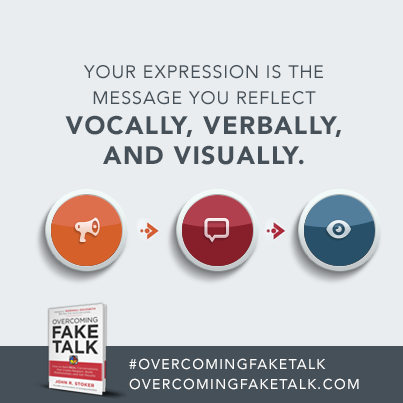 I have taught communication skills for over forty years and I wish this book had been available forty years ago." 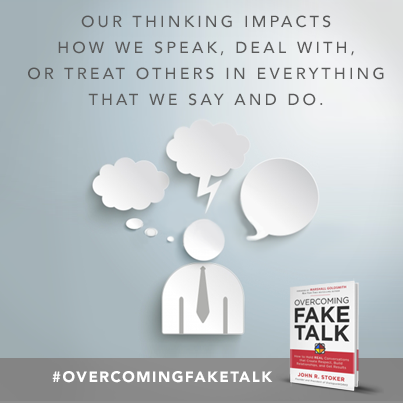 "John Stoker’s enlightening and entertaining book, Overcoming Fake Talk, will help you to gain and maintain influence with key stakeholders by holding real conversations that get results." 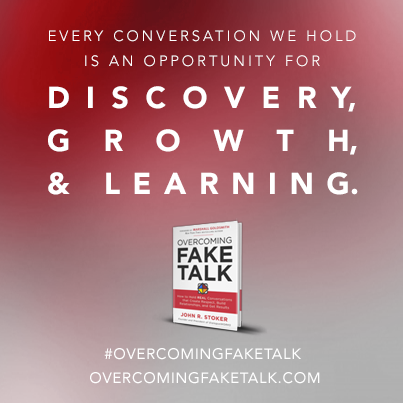 "Overcoming Fake Talk provides a very balanced approach to the art and science of conversation that engages your head, heart and hands — all essential elements to connect with people at a deeper, more meaningful level." 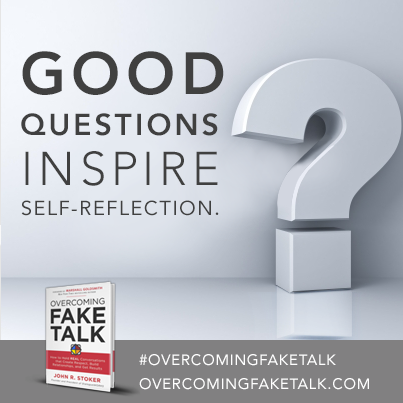 "This conversation book is truly worth adding to your shelf and maybe even replace others. John Stoker re-frames old notions and applies the principles to anyone, anywhere, in any position." 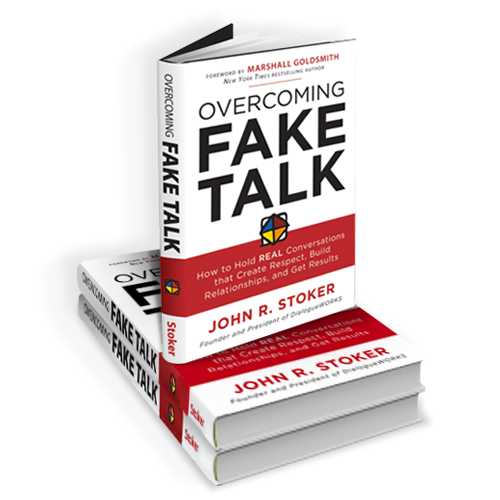 "John Stoker not only reveals fake talk, he also delivers spot-on advice for holding real conversations that cultivate relationships, respect and results. Read it and reap. 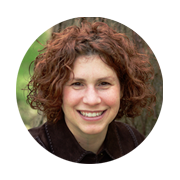 You’ll be a better, more effective leader." 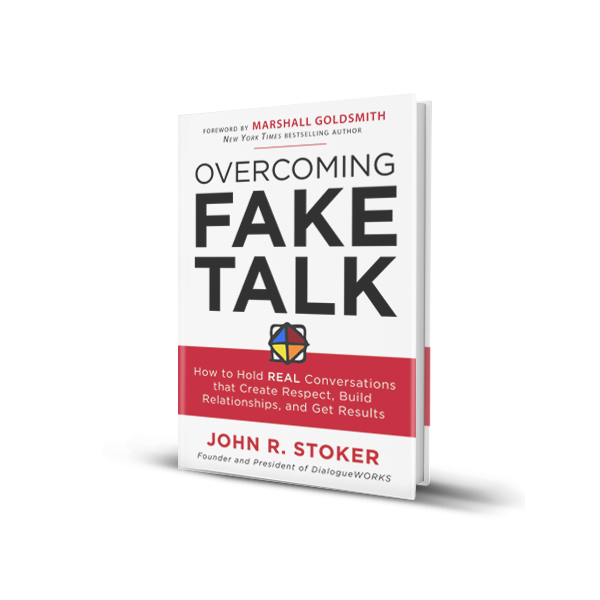 For over 20 years, John R. Stoker has been facilitating and speaking to audiences, helping them to improve their thinking and communicating skills. He is an expert in communications who believes the human capacity to achieve astonishing results depends on the individual's ability to interact with others. 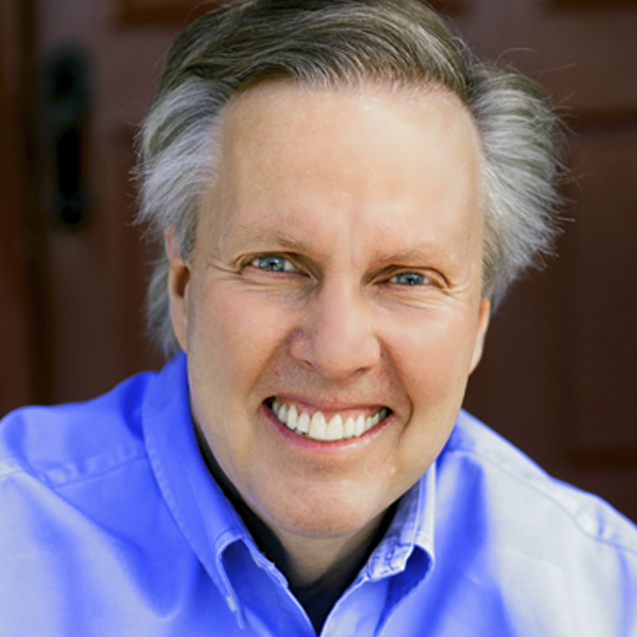 John holds a Master's Degree in Organizational Behavior as well as a J.D. Degree. 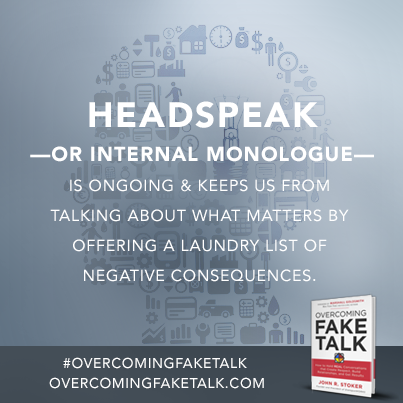 His landmark book, Overcoming Fake Talk, is both entertaining and engaging, and it presents skills that help readers talk about what matters most. 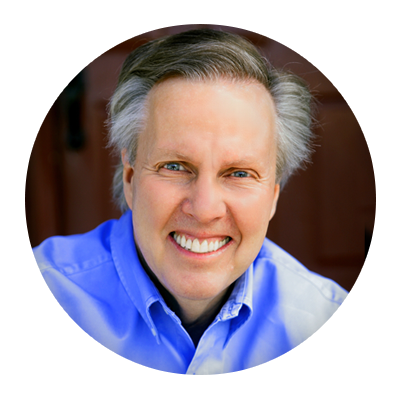 In the past, John worked as a practicing criminal defense attorney, spent summers as a Grand Canyon white-water guide, and taught on the university level for 13 years. John has been happily married since 1994 and he and his wife Stephanie are the proud parents of five children. 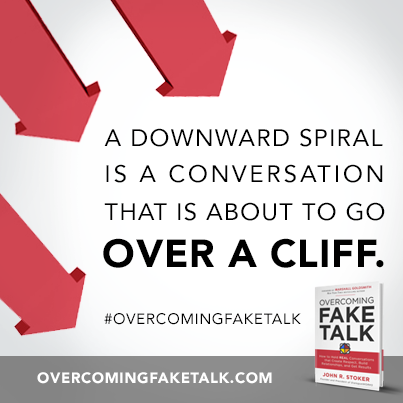 When You Are Attacked, Why Do You Attack Back? 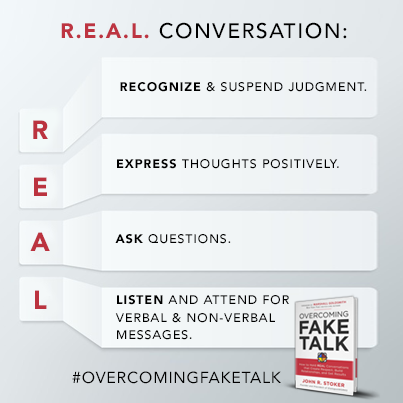 Overcoming Fake Talk has been called “profound & refreshing” and a “true road map” for mastering the necessary skills to build lasting relationships. 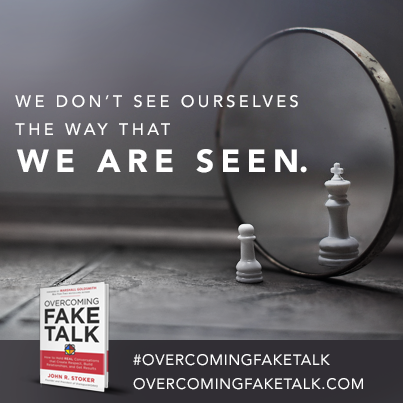 Order your copy of this must-read book today! Interested in purchasing a larger quantity of books at once? 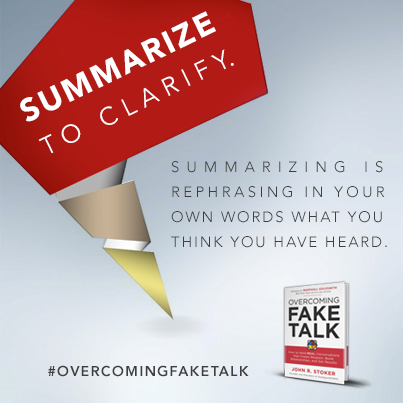 John is providing the following value-added offers when you purchase Overcoming Fake Talk in bulk. 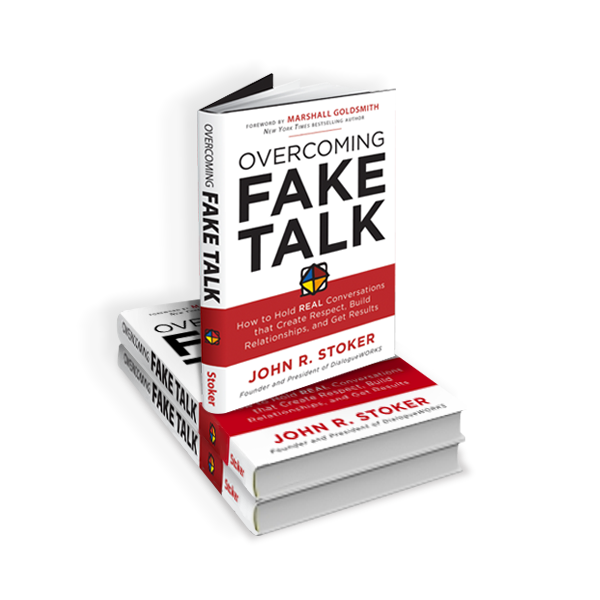 John Stoker will provide a complimentary, 30-minute interactive webinar with your organization. 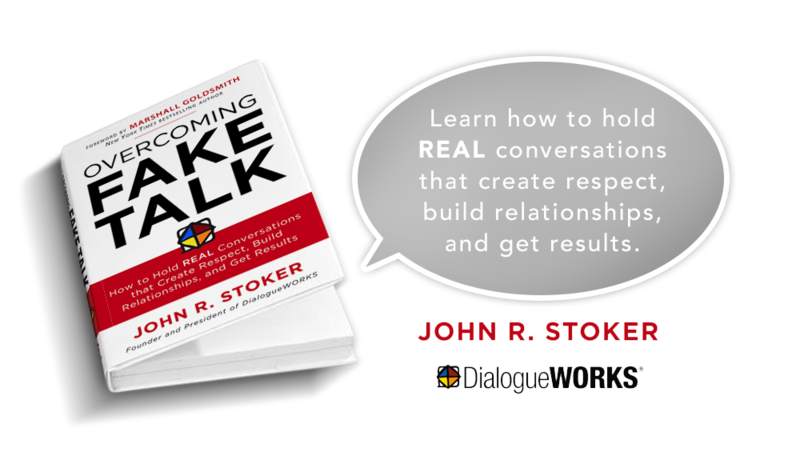 John Stoker will provide a complimentary, 1-hour interactive webinar with your organization. 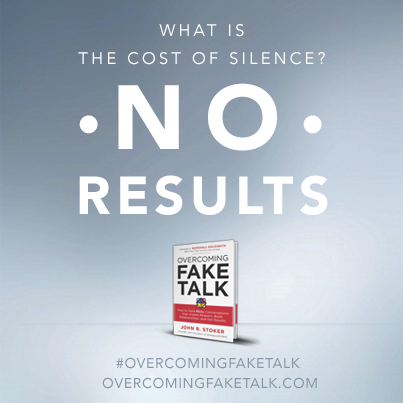 One free speaking engagement with the purchase of 200 or more books (and furnished speaking expenses).